Genetic risk for psychosis influences reward processing in healthy adolescents. Dysfunction in processing of rewards appears to underlie the formation of psychotic symptoms in individuals diagnosed with schizophrenia spectrum disorders. It has been shown that aberrant activity within the ventral striatum (VS) disrupts reward processing, and that elevated levels of dopamine (DA) in the VS contribute to striatal dysregulation and symptoms of psychosis. 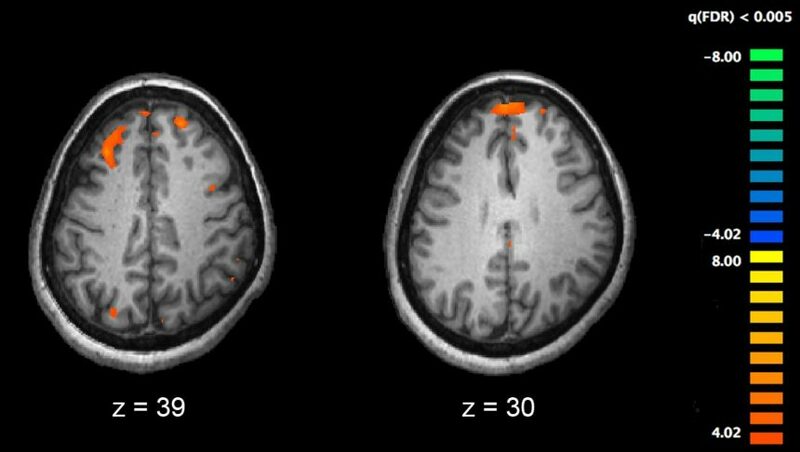 Researchers performed a cross-sectional study of 1 528 participants (mean age = 14.5), by using data from the IMAGEN project (a European, multicenter, genetic-neuroimaging study of reinforcement sensitivity in adolescents), in order to assess whether common genetic risk alleles for psychosis influence the response to rewarding stimuli in healthy adolescents. Their findings, published in JAMA Psychiatry, indicate that polygenic risk profile score (RPS) for psychosis is associated with blood oxygen level dependency (BOLD) in the VS during reward anticipation, which was assayed using the monetary incentive delay (MID) task [the variance explained was approximately 1% to 2%]. “The most prominent association between psychosis RPS and VS BOLD occurred during the reward anticipation phase, suggesting that risk for psychosis may alter incentive motivation and reward salience,” scientists noted in their publication. They also reported that this association is driven by the RPS for schizophrenia and bipolar disorder. “These findings support previous associations between common psychosis risk loci (ODZ4, CACNA1C) and reward processing,” they write. In line with previous reports, psychosis RPS was shown to be associated with reduced performance IQ, which was measured by using the WISC-IV; the variance explained, however, was small (approximately 0.2% to 0.4%). No association was observed between the psychosis RPS and behavioral impulsivity. Impulsivity was measured using a delay discounting paradigm that quantifies an individual’s ability to delay gratification, which is a heritable phenotype. “Future analysis of specific genetic risk pathways will help to elucidate the neurobiological mechanisms that contribute to alterations of reward processing across the psychosis spectrum and across the lifespan,” investigators concluded.